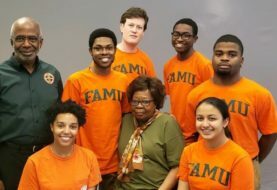 Nearly 400 students gathered in the Alfred Lawson Jr. Multipurpose Center and Teaching Gymnasium to celebrate graduating from Florida A&M University (FAMU) Aug. 3. As the ceremony began, students and guests patiently awaited hearing the highly anticipated speaker, FAMU alumna Mareena Robinson Snowden, Ph.D. 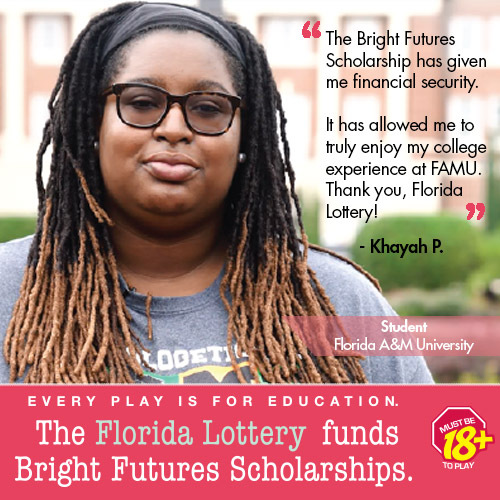 The Miami native received a Presidential Scholarship and earned a bachelor’s degree in physics from FAMU. In 2017, she became the first African-American woman to earn a doctorate in nuclear science and engineering from the prestigious Massachusetts Institute of Technology (MIT). Her doctoral research and history-making academic accomplishments have garnered national attention. Snowden began her speech by telling the Class of 2018 that they have what it takes to be successful. “My goal is to tell you the truth as I know it, a truth that will hopefully communicate how uniquely prepared you are, as a Rattler, to win in this new chapter,” said Snowden. Snowden works as the Stanton Nuclear Security Fellow at the Carnegie Endowment for International Peace in Washington, D.C. Her research interests include nuclear arms control verification, nonproliferation and modernization issues. During the ceremony, two national leaders were also recognized for their contributions to the advancement of society. Lt. Col. David E. Pollard, Sr., a FAMU alumnus, received an honorary doctorate (posthumously) and Sheila A. McClure, Ph.D., received an honorary doctorate.